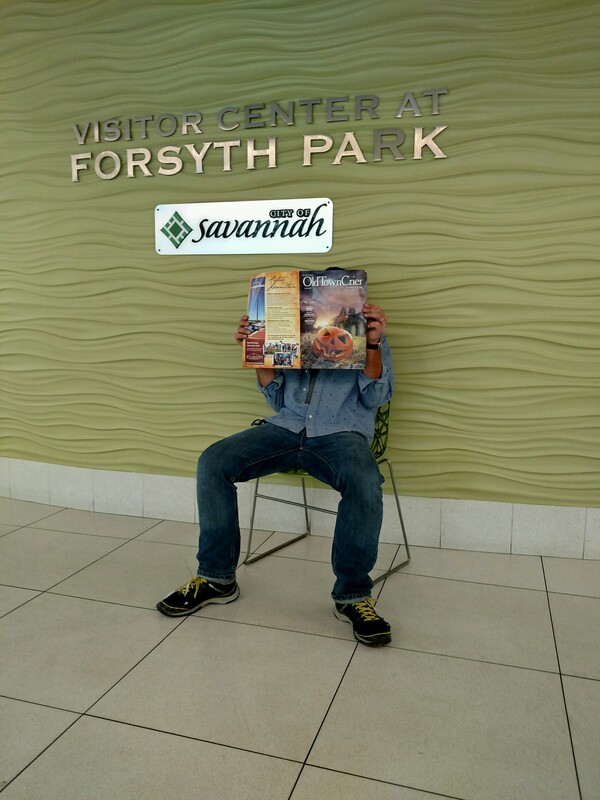 Alexandria resident Bob Steciuk is too interested in the October issue of the Old Town Crier to take a look around in Savannah, Georgia. He would have seen beautiful blue skies, an enormous canopy of interlocking trees laden with mysterious Spanish moss, and an elegant maze of Old South perfectly preserved plazas. 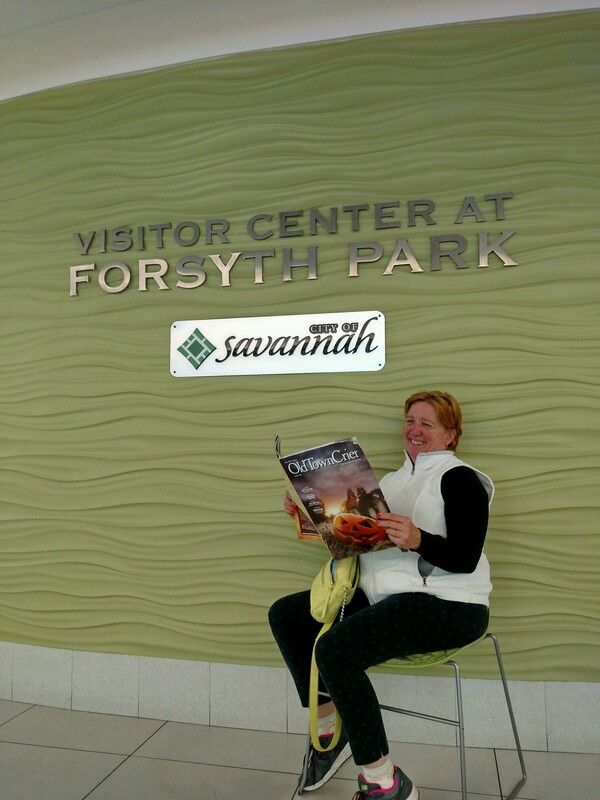 Alexandria resident Maggie Steciuk takes a break from a stroll through beautiful Forsyth Park in Savannah, Georgia, to read her October issue of the Old Town Crier.